Every detail, from the moment you arrive, strikes just the right note of exclusivity from the design of the opulent rooms and suites to the mesmerizing beauty of the exotic backdrop. After being welcomed by the grand, open-air lobby with enchanting fire and water features, prepare for total R&R—romance and relaxation—under the glistening Caribbean sun! 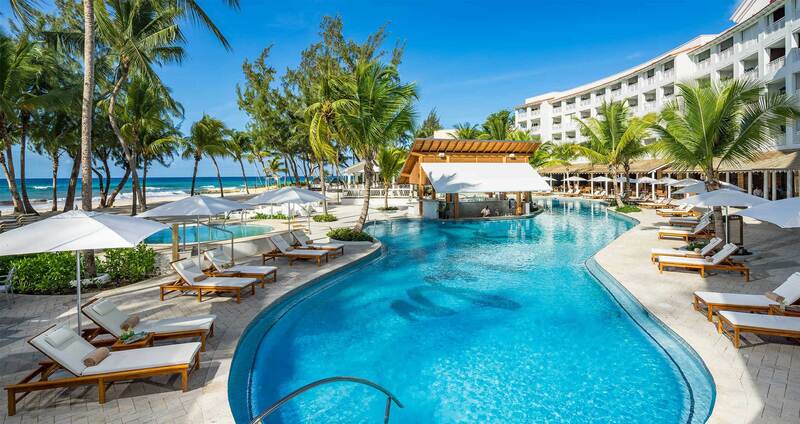 Sandals Barbados is set along the white sands of Maxwell Beach–one of the islands most unspoiled beaches–you’ll find mesmerizing seascapes and lush gardens everywhere you turn. It’s a perfect natural backdrop for a resort of unsurpassed luxury where everything is included. From volleyball to bocce ball, Sandals Barbados has exciting land activities and tabletop games such as pool tables and table tennis to enjoy. Plus, our multi-million dollar fitness centers are equipped with state-of-the-art Life Fitness® equipment and complimentary certified instructors. Pool areas have been completely reimagined to take full advantage of the island's sultry, tropical landscape, and nowhere is that more apparent than at the resort's ocean-side pool. 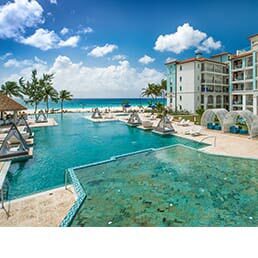 Complete with Sandals signature pool bar and a seaside infinity whirlpool, the main pool at the Oceanfront Village is the place to see and be seen. the exotic Crystal Lagoon Swim-up Suites at Sandals Barbados feature zero-entry access to the river pool via a private patio, complete with a Tranquility Soaking Tub™ for two. 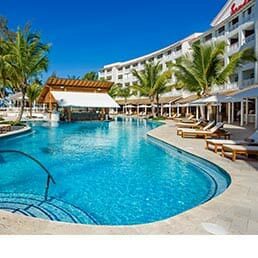 Save up to 60% off rack rates when you book a minimum of 3+ nights at this resort.